As Glendale’s Head Football Coach, Kersting won National Championships in 1988, 2000 and 2005. He’s a member of the NJCAA Hall of Fame and one of the NJCAA’s 50 most winningest coaches. 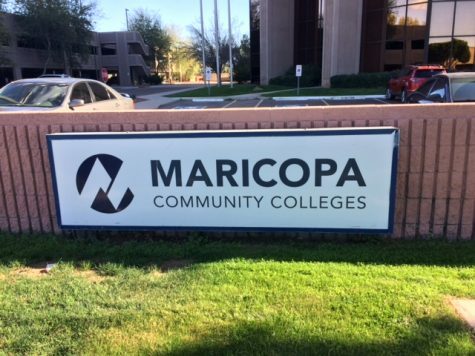 Kersting knows “JUCO” football and Kersting insists that he also knows the Maricopa County Community College District. 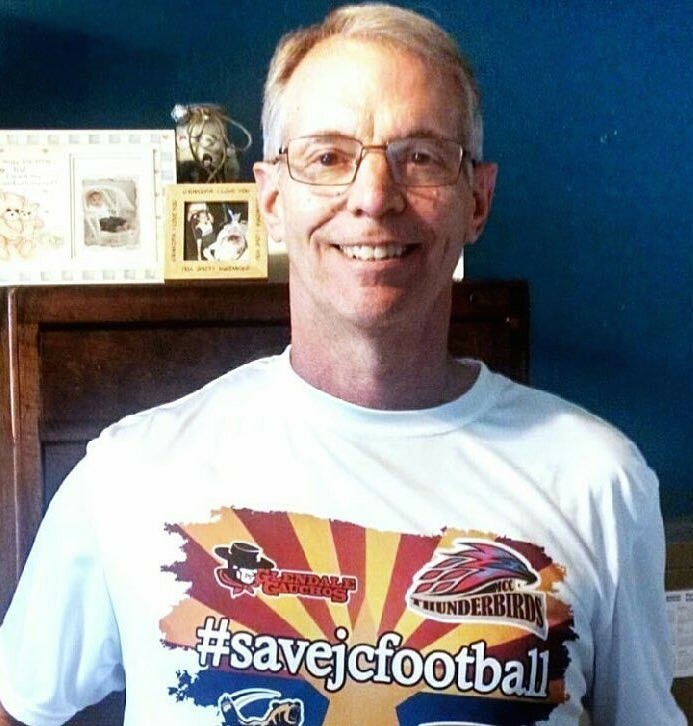 Since MCCCD announced their plan, last February, to eliminate all four of the district’s football programs, the recently retired Kersting has been one of the most vocal leaders of the movement to save the football programs. He’s done several interviews on multiple media platforms to bring awareness to the issue. 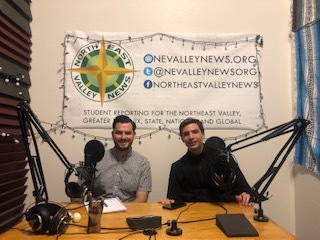 In a recent phone interview with Northeast Valley News, Kersting discussed the atmosphere of silence surrounding the decision to eliminate football. “I talk to lots of people that work in this district and I’m not just talking about coaches, I’m talking a lot of people, I’ve been in the district a long time. No one’s willing to go on the record (in opposition to football being eliminated), they’re fearful of losing their jobs, with this current governing board and administration,” Kersting said. 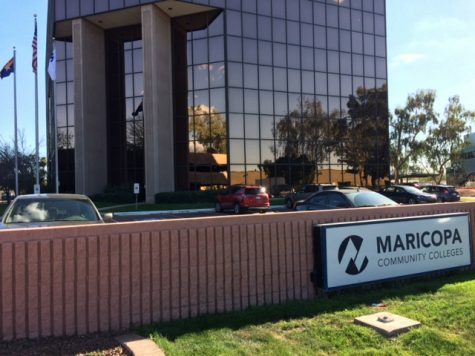 Similar allegations were recently documented by the District’s Faculty Association in a complaint to the Higher Learning Commission, an independent organization that accredits post-secondary institutions in 19 states, including Arizona. Within the documented complaint— Area of Concern #3: Retaliation Against Dissenters and Refusal to Engage in Collaborative Practices (including whistleblower)—the complaint contends the MCCCD Governing Board has repeatedly shown resistance to opposing viewpoints by eliminating policies and dissolving organizations which allow faculty and public to voice concerns to the Board. 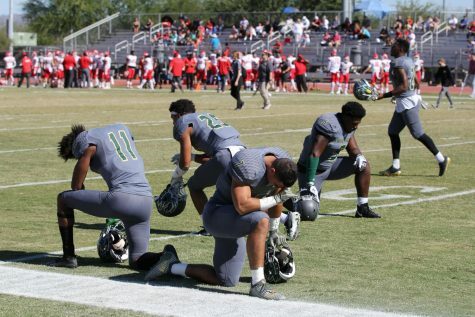 Kersting believes that the way to save football in Maricopa County Community Colleges lies in changing the composition of the MCCCD Governing Board to a majority of members who support athletics at the Community College level. 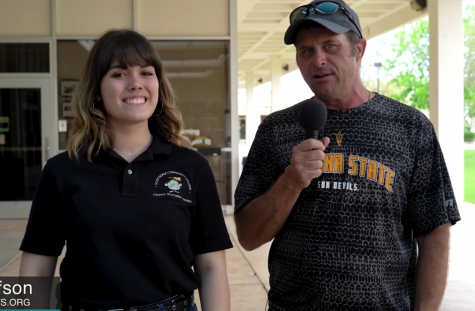 It is Kersting’s contention that the vast majority of the public supports the junior college football program and their vote in the upcoming board elections could reflect that support. Those candidates include: Tom Nerini (District 5), Stan Arterberry (District 4), Marie Sullivan (District 3) and Roc Arnett (at-large). Kersting told Northeast Valley News that he has recently received placement statistics from all four football programs slated for termination showing that the athletes from the classes of 2016 and 2017 are currently receiving $9.48 million to continue their education at larger institutions. He doesn’t want to see those opportunities taken away from Arizona’s student athletes. A 2014 article from NFL.com, the official site of the NFL, highlights JC transfers that became No. 1 overall picks and an August azcentral.com article chronicles the junior college football “launching pad” for those Maricopa students that wanted to get into Division 1 schools—where “some of the most talented” have gone on to the NFL. “I see so many lives that have been transformed. 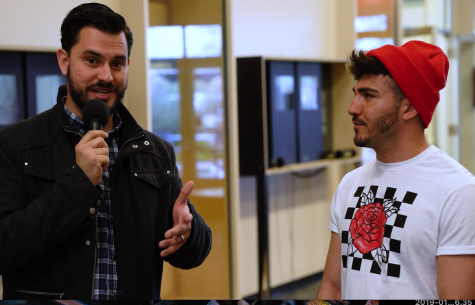 So many people who have made a better life for themselves, their families and their communities because of their opportunity that they received to go start out at a community college,” Kersting said. Other board candidates include, Kathleen Ann Winn, Sherman Elliott, Debi Vandenboom and Jean McGrath.